A growing number of young professionals born in the UK are choosing to migrate to Africa. Nancy Kacungira went to meet some to find out why. On a typical party night, DJ Kobby can be found at one of the hottest bars in Accra, showing off some of the skills he honed at clubs in North London. While he blends in very well with the local crowd and even speaks the local language, he was born, raised and educated in the UK. When “DJ Kobby” isn’t moving a crowd with music, he’s Kobina Graham – a cultural studies lecturer at the Ashesi University in Accra. Despite having graduated with two degrees from universities in London, finding a good job 10 years ago proved very difficult; a challenge that provoked him to start thinking about other alternatives. “I felt that London was kind of grim at the time, it wasn’t exactly a land of opportunity”. He describes his reasons for choosing to move back to Accra as “push and pull factors”. He wanted to reconnect with family in Ghana, but also had concerns about starting his own family in the UK. “The main thing that pushed me away was just not feeling like I could really have children there, because their identity could be questioned. While Mr Graham may have moved primarily for family, his job prospects also got a boost. There are things about the UK that Mr Graham does miss. Friendships built over many years, and a diverse entertainment scene are some of the ones he mentions. But overall, he feels that moving back to Ghana was the right decision. “London isn’t as warm, in terms of friendliness. “I remember sometimes being on a bus and just not feeling any sense of community or welcome; I don’t miss that at all. Mr Graham is not alone in his thinking. Many young and skilled African immigrants have gone or are going back to their homelands, particularly from North America and Western Europe. This return of professionals to their home country to take advantage of new growth and employment opportunities has been termed “Reverse migration” and, anecdotally, is a trend on the rise in many parts of Africa. Hard statistics are difficult to come across, but Professor Mariama Awumbila, a migration scholar at the University of Accra confirms the pattern. “We’re beginning to see a trend of the younger Ghanaians coming back. Mostly highly skilled professionals in their thirties and early forties. Things are much better now compared to five or ten years ago, and people are beginning to see the opportunities in Ghana”, she says. It would have been difficult to predict a flow in this direction two decades ago. It is estimated that between 10 and 20% of Ghana’s population in the mid-1990s lived abroad. 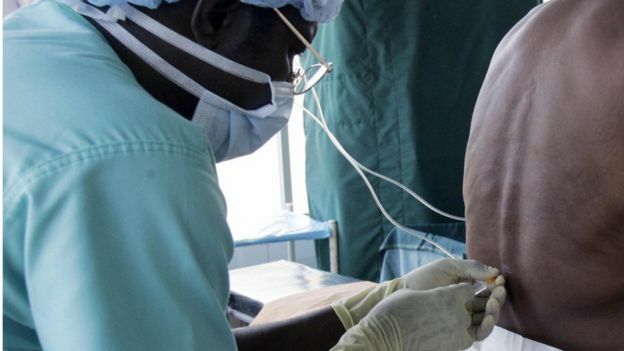 The “brain drain” phenomenon hit the West African nation particularly hard in the health sector – more Ghanaian doctors worked overseas than in Ghana. A common joke was that Ghanaian medical students sat their exams with an air ticket in their back pocket – ready to leave the country. Mr Awumbila says the picture is quite different now. The outflow of professionals has reduced – and whereas it used to be only the older, retired members of the diaspora who came back to Ghana, the young and the skilled are now returning too. Jerry Parkes is another one of those returnees. Born and raised in London, he earned a first class degree and an MBA before building a thriving career as an investment banker at some of the world’s biggest corporations. He had a great job and a good life in London, but still felt the need to move back to Ghana while still in his productive years and make a contribution there. “I never stop thinking about how much more impact could be had in Africa if more diasporans decide to move back and do what they’ve been trained to do, what they’re experienced at doing, within the continent,” he told me. Mr Parkes moved back to Accra six years ago and now runs his own investment fund, supporting 10 companies and creating more than 600 jobs. He acknowledges that many others have made the move. “A lot of Ghanaians had also returned home prior to me arriving, and were beginning to do very interesting things within the local economy. The number of those returning may be growing, but it is still a decision that can be met with scepticism, especially by friends and family who see a good life abroad as something to hold on to. Some of those who go back also face significant lifestyle changes; power outages, poor roads, inefficient healthcare systems, or a high cost of doing business can all be daunting. Mr Parkes chose to avoid naysayers by not immediately letting people know that he was moving back for good – he allowed them to think that he was on holiday for as long as possible. For many young people, a job in the UK or US is still the dream – but Mr Parkes feels that he’s achieved much more by moving back. “To think that Jerry, sitting in an office in London, just by moving back to Ghana could create this number of jobs and have this kind of impact is amazing,” he told me. It’s not just about the impact either. Mr Parkes says his quality of life has improved significantly since he moved back to Ghana – he lives less than a five-minute drive from home, decides his own schedule and has more time to spend with his family. He also believes that in the long run, moving back to Ghana will have more financial return for him compared to staying in London. Ghana has a population of around 25 million, with over a million and a half living abroad. 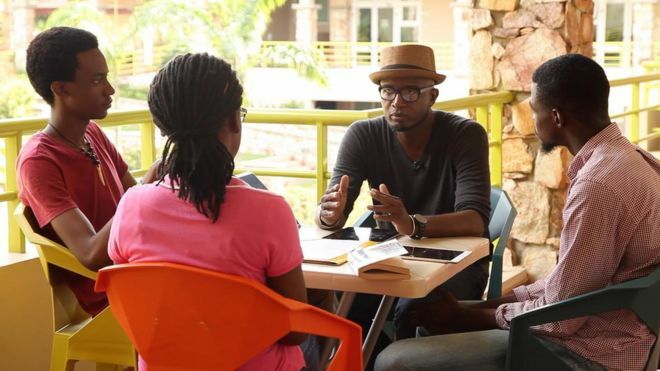 Whether it’s the push of tougher conditions abroad or the pull of a better economic situation back home, more young Ghanaian professionals are making the decision to go back to their roots – and choose Africa.